As I already told you yesterday, this new year will bring some new things on my blog! One of the new sections is ‘Top Tips Tuesday’. 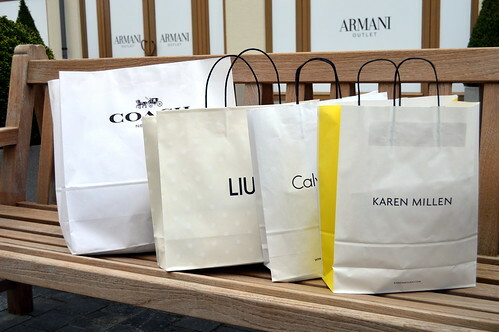 This first ‘Top Tips Tuesday’ is a fun one… one that will save you money… one that will make you a better shopper… one about that time of year we all love… sale-shopping!! I don’t know about you, but I’m always in for a good bargain… and what better time to score that perfect bargain than during the January sales?! Buying stuff at the sales can be tricky though… but rescue’s nearby my friends… just take a moment to read these top tips and you’ll strike the best bargains ever! 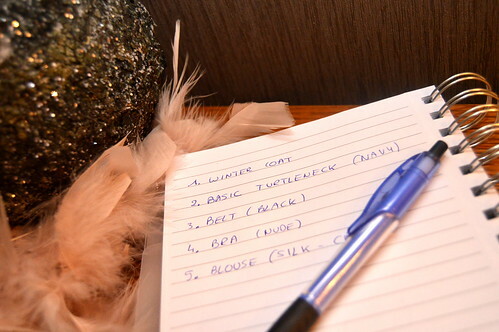 1.Make a list of the things you want… and stick to it! Make a list and put it in order of importance (that’s important for my second tip!). Now there’s nothing more frustrating than not being able to buy everything on your list… so if there really is a lot on your list, try to downsize it. Sleep on it overnight and take a look at your list with a fresh head. Perhaps that way you can already delete a few things. 2.Set yourself a budget… and stick to it! That’s another golden tip… set a budget and, my darlings, try to stick to it! This is however extremely difficult, I know 😦 but I’m afraid the bills will keep on coming, even if you don’t stick to your sale-shopping budget! That’s why it’s also important to make that list and put it in order of importance… buy the things that you really need first so your budget isn’t waisted on a mish-mash of cute but not-so-needed things. Best buy ever… at a 95% discount!! If you are already doubting in the changing rooms, chances are high that you’ll doubt even more everytime you’ll want to wear it and chances are even higher that you will just leave it hanging in your cupboard. So why don’t you just be a good girl and leave it hanging in the shop? If you come home and you really really regret not buying it, you can still go back or call the shop to ask them if they want to put it aside for you (or look it up online). Always check for faults, no matter what you buy. There might be a reason why that stunning dress is at an 80% discount… Check the hem, the zipper, are there any missing buttons? Check the seams, is there any discolouration, is it torn somewhere? You might be lucky of course, but if there are any faults, ask yourself if it is worth the money. Be honest with yourself! If you decide to buy it, consider the price of the alterations. I once bought a fabulous dress with a broken zipper. I bought it anyway, because it was really cheap and even after I paid for the new zipper it was still a bargain! This dress was so cheap… even after I paid for a new zipper it was a bargain! Now my dearest readers… if you stick to these 5 tips, I just know you’re on the right track of striking those ab fab bargains… good luck and let me know how it all went! This entry was posted in Fashion, Fashion top tips. Leuk! Ik kijk alvast uit naar wat je de komende dinsdagen voor ons in petto hebt!